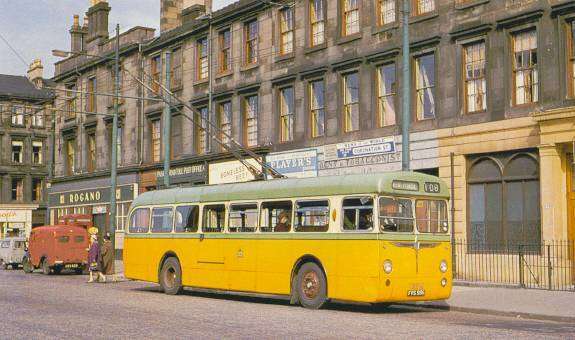 The Trolley bus was nicknamed the 'silent death', they were powered by overhead electric wires and just 'hummed' along the road, a whining sound which you could barely hear. I don't know if many people were 'silently' knocked down and killed, but a good nickname and typical Glesga humour! Millerston or Riddrie with Bellahoustan Converted from tramcar operations on 15 June 1958. 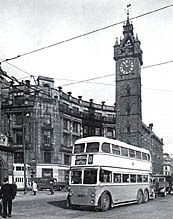 The last route to be converted from tram to trolleybus operation on 15 Nov 1958, was the route 108 from Mount Florida to Paisley Road Toll which was extended at peak hours to Linthouse and Shieldhall. 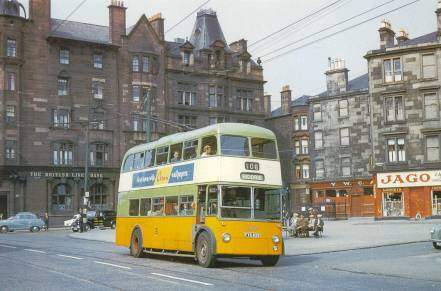 Special dispensation to Glasgow manager Fitzpayne allowed him to operate experimentally high capacity single deck trolley busses 35ft long with fifty seat bodies arrived in 1958 to operate this route.Its successful operation paved the way for general use of 36ft long vehicles from 1961. 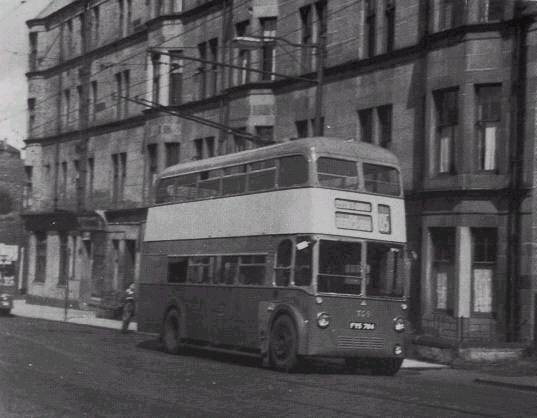 The last of the '10 TBS21', above is seen in April 1962 at Paisley Road Toll. 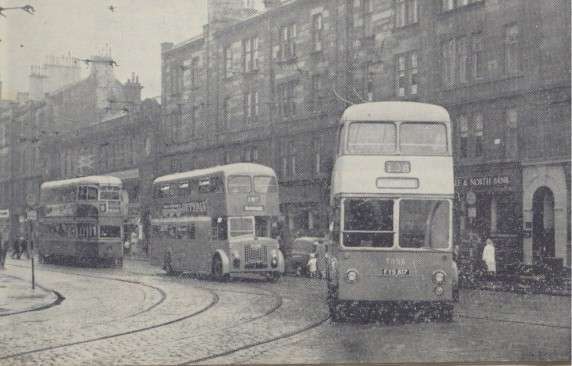 of public street transport could be seen operating together.